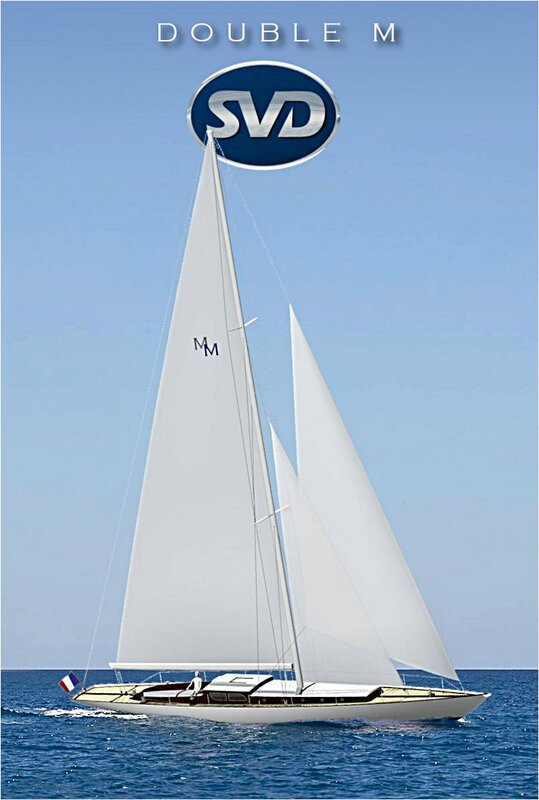 Double M is a come back on the glorious time of classic races, cutters and yawl. 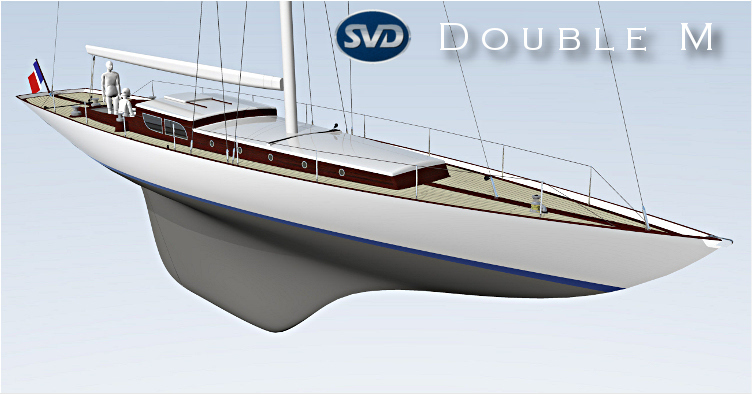 A retro design, integrating modern features on deck outfitting and hull construction to ease maintenance and sailing on board compared to a genuine classic yacht. 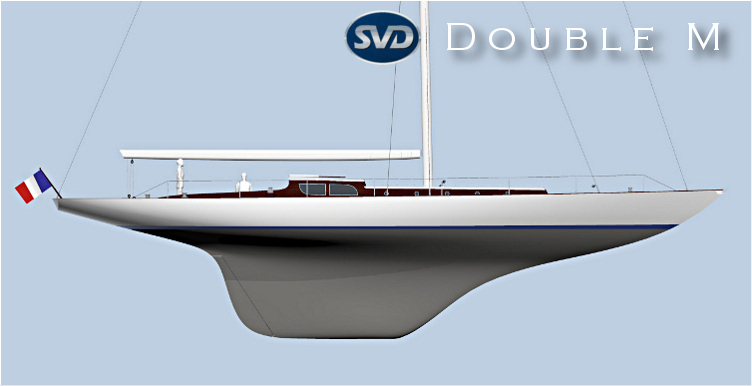 Hull is designed with a long keel and heavy displacement, ensuring a very soft sea-keeping and confort cruise on board. 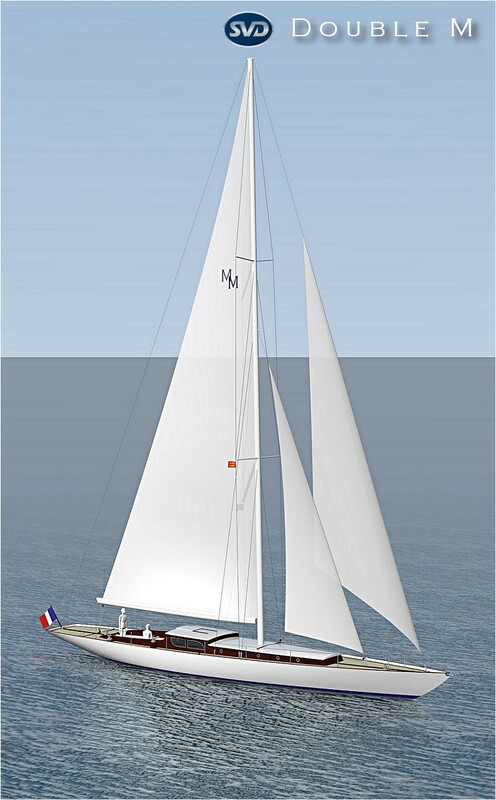 Racing is not the first aim of this yacht, but cruise with reduced crew on board. 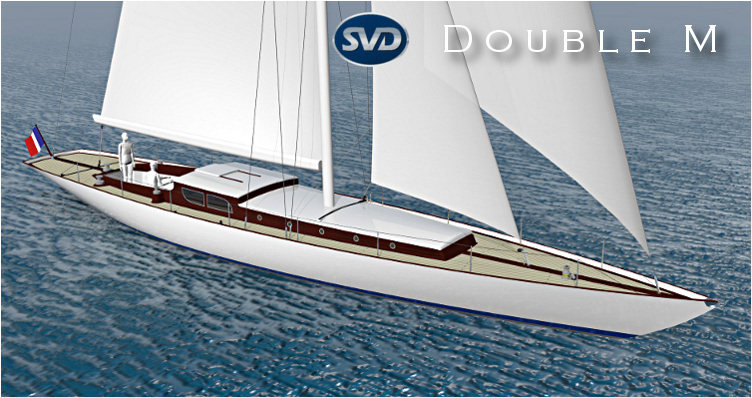 She is designed with the classic spirit, using pitchpin and mahogany. 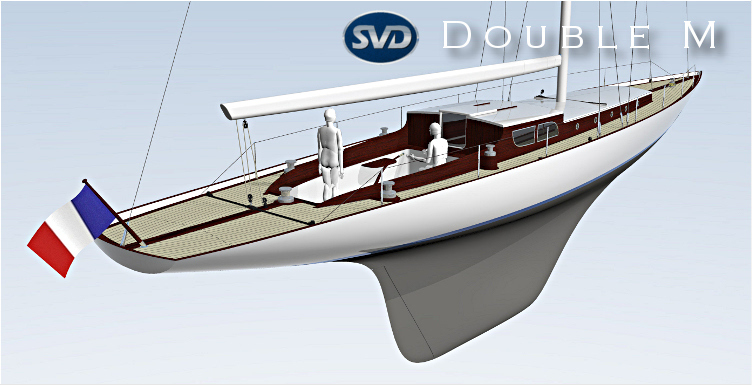 Deck arrangement is optimized for a crew of 2 or 3 persons, and sail plan is made of self-tacking jib, solent and main sail. 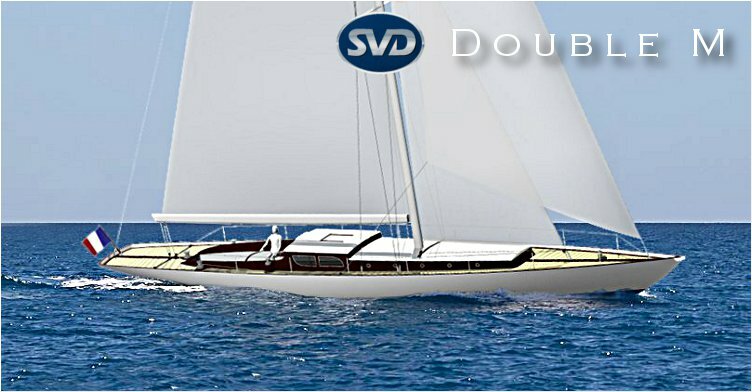 This combination is easy to handle, with complete rail system for jib and main. 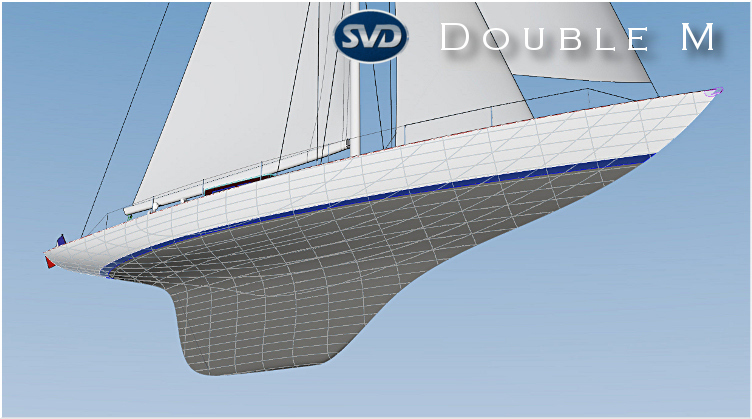 No backstay to manage, giving more comfort and safety when sailing. 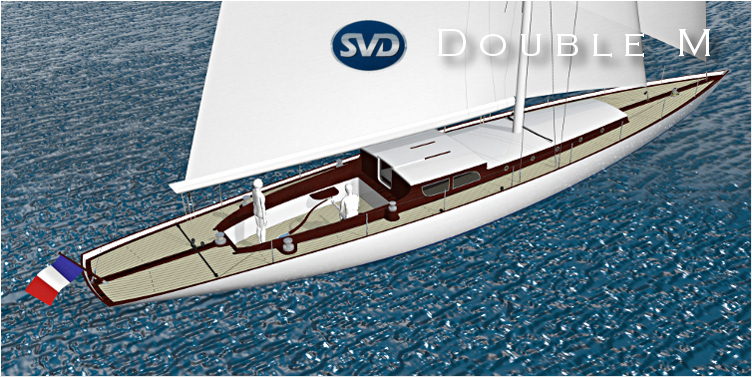 If you are interested in Double M design for future project, please contact me.